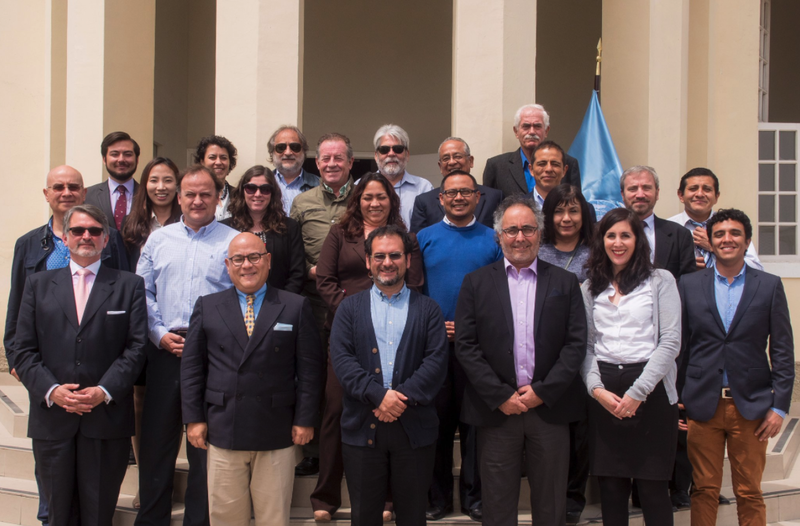 Representatives from Peru and Chile reviewed the initial version of framework results expected to be achieved in order to implement the binational program that seeks to ensure sustainable use of shared living marine resources among both countries. Lima. After several months of workshops and consultations, this morning representatives of various official institutions from Peru and Chile reviewed the initial version of expected results’s framework for phase of the Strategic Action Program implementation. In the long term, this program will seek to ensure sustainable use of living marine resources shared between both countries in Humboldt Current Great Marine Ecosystem. The Strategic Action Program document was one of the main advances of the first phase of “Towards a management with an ecosystemic approach of the Humboldt Current”, project implemented between 2011 and 2016 by the United Nations Development Program (UNDP) with funding from the Global Environment Facility (GEF). This project design process has been led by UNDP Chile in coordination with UNDP Peru together with the national partners from both countries: Ministry of Production, Ministry of Environment, Ministry of Foreign Affairs, Peruvian Sea Institute and the National Service of Natural State Protected Areas from Peru; and the Undersecretariat of Fisheries and Aquaculture, Environment Ministry, Foreign Affairs Ministry, Fisheries Development Institute and the National Fisheries and Aquaculture Service of Chile. It is worth mentioning that this ecosystem resources, generators of 20% of the world’s fisheries and initially valued in 2014 by the Humboldt project in 19 billion dollars per year, can be significantly higher in the future if certain uncertainties linked to the future scenarios regarding climatic change become solved. This binational strategy is aligned in a global context that recognizes oceans as a key element to promote sustainable development and will be a topic of great importance in the forthcoming negotiations to be held at the COP23 of Fiji in Bonn.